“So, the Evil one has sent his emissary. The dominos appear to be stacked and aligned. Now we see if they fall this way or that.” The crone waved her calloused arthritic hands over the “seeing cup”. She spoke as though to herself, knowing full well that her son was just outside the door standing guard. The caravan had meandered into the quaint village late the past evening. Too late to drum up any business. Too late to spread the word. Tonight would be different. The townspeople would turn out if only out of curiosity. Gypsies! Nearly all of the troupe had made their presence known. They juggled as they walked, they waved their brightly colored silken scarves in the air, the women sashayed, and the children picked just enough pockets to get noticed. The townspeople were well aware of their presence today. The troupe was not so large as to draw unwanted attention while traveling the roads, and yet large enough to offer a variety of entertainments. They kept the exterior of their caravan modest. Few adornments on the outside. The inside of each of the wagons shouted opulence. Feathered this and sparkling that made everyone’s eyes dance upon entrance. The tin knockers, to mend the pots and pans, and knife sharpening tents were the overt draw, the real action happened elsewhere. The women seemed especially fond of the “soothsayer” while the men preferred the gaming tents. Children tended the horses, for a small fee, making the evening a very lucrative time indeed. Rudolph nodded his head indicating he had heard her, but was not overly pleased. “I have waited long. I shiver to think our future depends on the wits of a hunchback. He may have many talents, always choosing the right path is one he needs more refinement with.” The dark man folded his arms again, shifting his weight and shaking his head. “This town was long under the thumb of a tyrant. True, most of his deciding tyranny was for their own good, however, he was cruel in his justice. Should the dominos fall the wrong way. I worry that there has not been enough generations since then, the people will revolt. But, enough of worry. We cannot change what we cannot change. Let us, tonight, bring a bit of joy to these good people.” With that, he turned to his mother giving her a wide white toothy smile. Late afternoon, and laden with a chicken under one arm and badly worn pots and pans, the first of the villagers began to arrive at the campsite. The first few slowly entered the caravan circle wide eyed and timid. As the evening became night there became a crowd of people who were blustering and red faced with wine. Rudolph and his mother, the crone, eyed the passersby with keen interest. “Do you really think there is one here?” He inquired again. The crone’s agitation was becoming visible. Arching an eyebrow, she glared at him. “Don’t you even pretend to give ME the evil eye!” He laughed then drawing attention to himself. His laughter was unlike any they had heard before. While melodic it was also thunderous. Contagious to say the least, even the most dour of faces lit up when Rudolph laughed. His inner music casting a wide spell over the encampment. “There. There is the one. Female this time. She is the one who would join us.” The old woman pointed at a young woman. The blue flowers pinned in her hair distinguished her from the others. Unlike the brown haired, brown eyed, square bodied stance of most of the townspeople, she seemed as graceful as a swan. She alone had taken the time to tend to her appearance. Carrot red hair was pinned up and neat, her blue dress clean enough one would think she had not worn it into the field for work. The emerald green wrap around her shoulders enhanced her red hair and highlighted her green eyes. Her keen green eyes which sparked with intelligence, a trait unappreciated in a female. The young woman made her way to the “seers” wagon. Peering inside she softly called out, “Old woman, I am in need of assistance.” Hiking up her skirt, she made her way through the draped doorway and inside the wagon. The crone was already sitting at the table with her “seeing cup”. 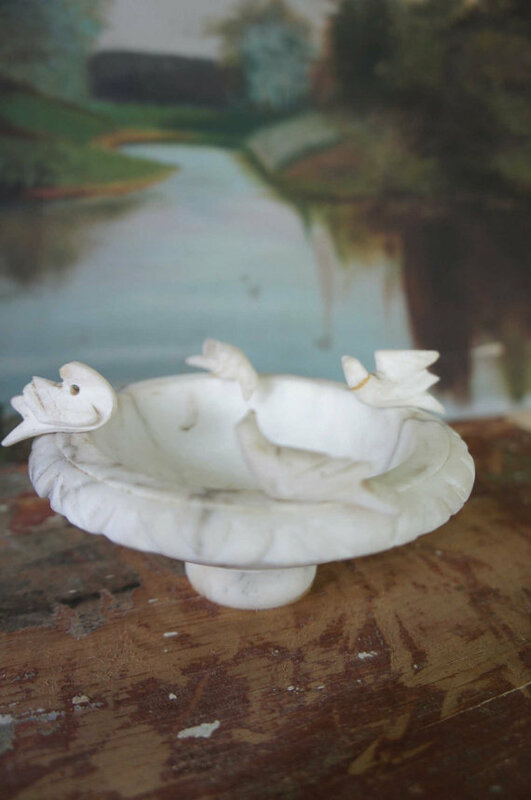 The cup was of white alabaster adorned with small birds. As the crone waved her gnarled hand over the cup, the young woman imagined birds actually spoke through the old woman. Birds were everywhere knowing all the gossip, she was thinking as she looked into the crone’s eyes. “Then all is lost. We are doomed.” Tears in her eyes, she nearly overturned the table as she rushed to leave the wagon. Hurrying, she missed a step and fell onto the man standing just outside. Rudolph. Holding her hand, he led her back into the wagon. There is so much wisdom in your story - "We cannot change what we cannot change" and "Lord Alfred is the obvious ally but not the only" - these words really jumped out at me. Very nicely done. Wish you an awesome 2013. Great writing. I like the description of the young woman. I just love how you weave a story...this is so good!